Packaging production runs needs to be done in the most economical way. With the BP series Pentapack offers a flexible tool for packing these runs at a low tool cost and bigger output. 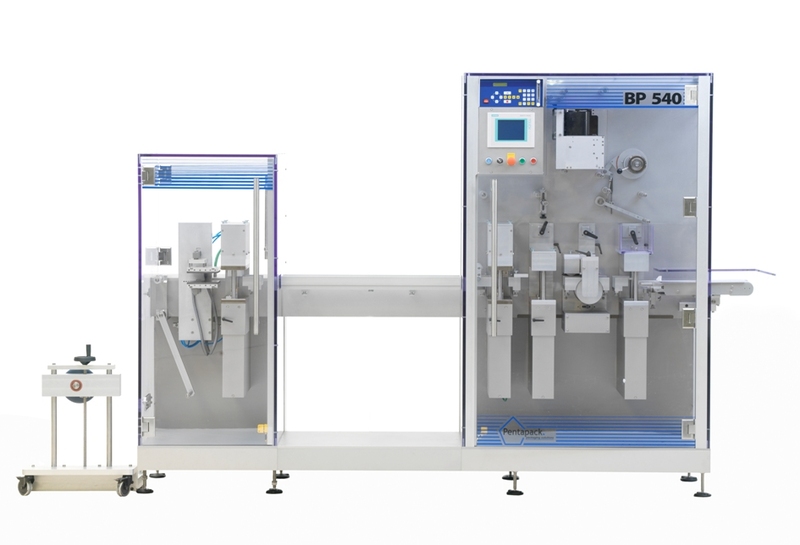 The BP series is one that features a compact machine which is capable of producing both small batches as well as large production runs in both thermo and cold forming. Through its unique design large format tools can be used to achieve a high output, and at the same time the use of small format tools is a key element for the packaging of small batches. Printing can be generated on the front and back-side of the blister by thermotransfer printers or by a standard platen printer. Preprinted lidding material with steering mark can be used as well. There is no special training required, the machine is very easy to use and requires very low maintenance. And there are options for manual or automatic filling. The inspection systems (eg. color camera system) can be combined with pick-off units to sort out good and bad blisters and stack blisters in to piles for further treatment. The modular design of the machine not only allows easy introduction into a room, but it also allows to control stations individually.